With the heating officially switched on and the winter wardrobe firmly on your mind, it is a safe assumption to make that we are now well on our way into the heart of another winter. Many of us have had our first real taste of the season in recent weeks, with freezing temperatures, ice, and even snow becoming increasingly commonplace in some parts of the country. Safety is always important, but at this time of year, it is more important than ever. The hazardous weather conditions can make even the simplest tasks become treacherous, and no one wants to have an accident on the run up to Christmas! Along with the cold weather; parties, family gatherings and social events are also much more routine at this time of year. This means that there are likely to be a lot more people around, and if you are entertaining guests with young children, a lot more supervision becomes necessary. Hosting a party or social event at your home can be a stressful but fun experience. However, being the host or hostess is hard work, and it is virtually impossible to always keep an eye on everything at once. 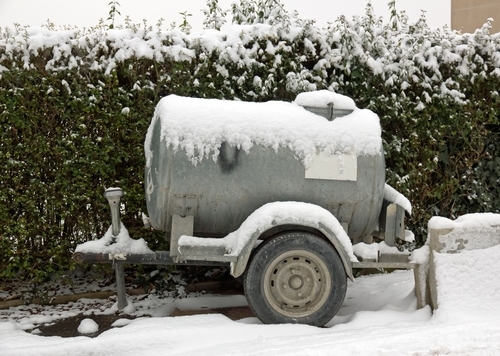 Therefore, if you have a heating oil tank or water storage tank on your property, it is vital to ensure the surrounding area is secure so that everything is safe for your guests. In particular, children are known for being curious and adventurous, and they always seem to find a way to end up in places that they are not meant to be in! So, if you have children coming over at any point over the holidays, you will need to make sure that the area around the place you keep your heating oil tank or water storage tank is completely child-proof. Not an easy task, we know, but it is still a necessary one nonetheless. If you are planning to set off fireworks to celebrate and ring in 2017 this New Year’s Eve, you will need to think doubly sure about where you choose to set them off. It may be worth reading up on some useful information about firework safety beforehand, but aside from all the usual precautions, when you have a heating oil tank or a water storage tank; you will need to make sure that there is no chance that any fireworks will get close to your tanks. Although you should always keep safety in mind, don’t forget that the holidays are a time for fun, relaxing, and quality family time. However, if you are interested in learning more about the wide range of heating oil tanks and water storage tanks that Tuffa provide and manufacture, please give us a call on 01889 567700.